The new service from Lufthansa and its technology partner Inmarsat is based on the most modern broadband satellite technology from Inmarsat’s Global Xpress network (Ka-band) and offers seamless, reliable coverage on short and medium-haul flights. Inmarsat recently successfully launched the third satellite in this global constellation and Lufthansa will be its first aviation customer. The service will enable passengers to make the most of broadband Internet access on their own mobile devices via a wireless network. They will not only be able to use simple e-mail services, but also superior applications and even streaming. On top of all this, passengers will also be able to use their mobile phones to send and receive text messages and for the transfer of data based on their own mobile phone contract. Telephone calls on board, however, will still not be allowed due to customer preference. Lufthansa Technik will integrate all systems and components into the aircraft thanks to its many years of experience in the field of plane modification. This work will not only include installation activities, but also all tasks required in terms of aviation and licensing law. Lufthansa Systems will provide the technical infrastructure needed to establish a well-functioning Internet connection on board. This work will include tasks such as setting up network operations in the aircraft, which is the main technical requirement for a wireless network on board and providing the software required for the operation of an Internet portal. Lufthansa Systems and Lufthansa Technik are additionally planning a long-term global partnership in order to also be able to offer other airlines a modern on-board IT platform (BoardConnect) with broadband Internet access that can be used for a number of different purposes. Both the Lufthansa Group and future clients in the third-party market will benefit from the additional services and lower risks provided by this strong partnership. With regard to the future, Lufthansa is also committing to a flight trial programme for a new hybrid network being developed for Europe. The European Aviation Network combines an S-band satellite from Inmarsat with a complementary LTE ground network being provided by Deutsche Telekom. This promising and innovative technology offers potential in terms of costs and can be flexibly adapted to suit the broadband transmission demands of the future. From 2017 onwards, Lufthansa will commence a flight trial program of the new technology. 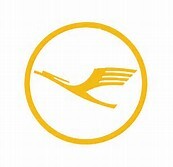 Lufthansa operated the world’s first scheduled flight with broadband Internet access on 15th January 2003. Although it was increasing in popularity among passengers, this technically reliable broadband Internet connection via a wireless network had to be suspended in 2006 because the necessary satellites were no longer in operation. Since December 2010, Lufthansa has again been the first airline to offer broadband Internet access on its intercontinental flights. FlyNet® has been available on all 106 long-haul aircraft in the Lufthansa fleet since the beginning of this year. Lufthansa therefore boasts the world’s largest long-haul fleet with broadband Internet access.